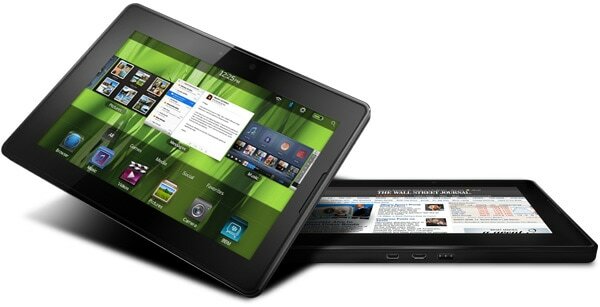 Do you recall that rumor that Amazon might buy webOS? It looks like there was a grain of truth in it; Amazon tried to by Research in Motion, makers of the Blackberry, this summer. Reuters is reporting that RIM has turned down a number of offers over the past year, and one was from Amazon. According to Reuters' sources, Amazon was serious enough about the merger that they asked an investment bank to investigate the possibility. But nothing came of it. It's not clear why it fell through, or how far it got, but it is clear that the sharks have been circling RIM this past year. Amazon isn't the only one to take an interest in this faltering company. One shareholder, Jaguar Financial Corp, has called for a sale of RIM, which lends credence to the rumors that several parties have expressed interest, but all were turned down. According to anonymous sources, the RIM board has chosen to back the co-CEOs of the company, who have decided to keep the company independent and try to solve its existing problems. And problems it has. RIM has a shrinking market share, a failed tablet that will soon be put out of its misery, and a falling stock price. Do you know what they could use right now? A buyer. Seriously, I do not have much faith in the current management; that's who got the company into this mess. And they just announced that their next “latest and greatest” phone won’t arrive until late 2012. So what you see now is (pretty much) all they have to offer. Of note: this means Amazon is *really* looking to get into phones. Time to dust off the April Fools Kindle Phone gag. It may not be a gag after all.